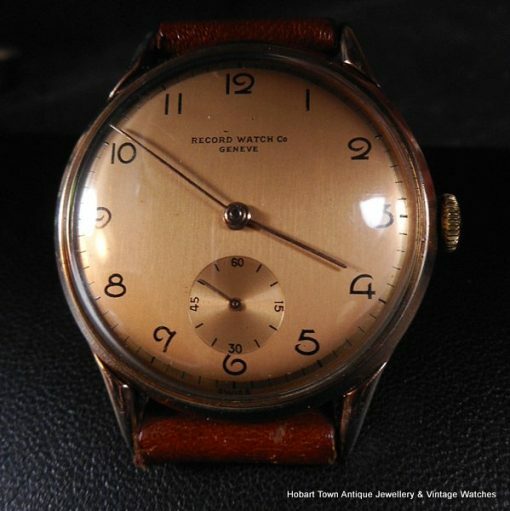 Handsome vintage Record 35m mint 1940s watch in mint condition. 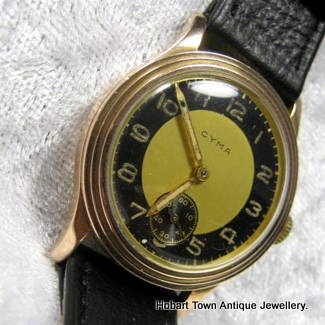 A quality , stylish and beautiful true vintage wristwatch at a good price. This handsome vintage Record 35m mint 1940s watch is in remarkable condition. 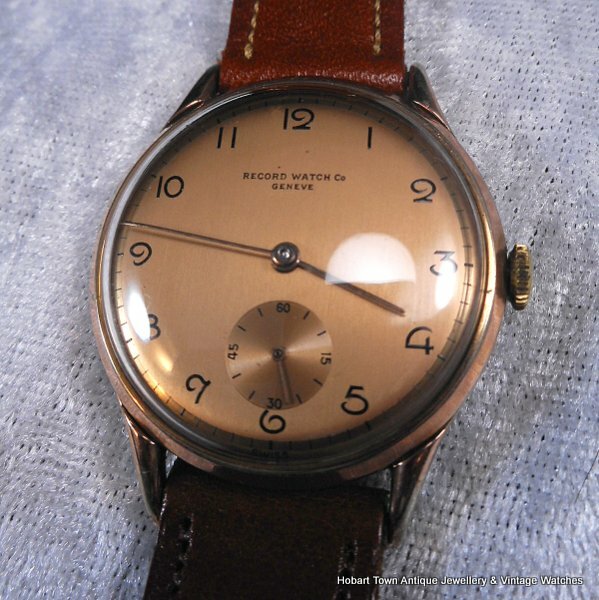 Hard to believe , going off the condition , that it was made in the late 1940s yet it was. 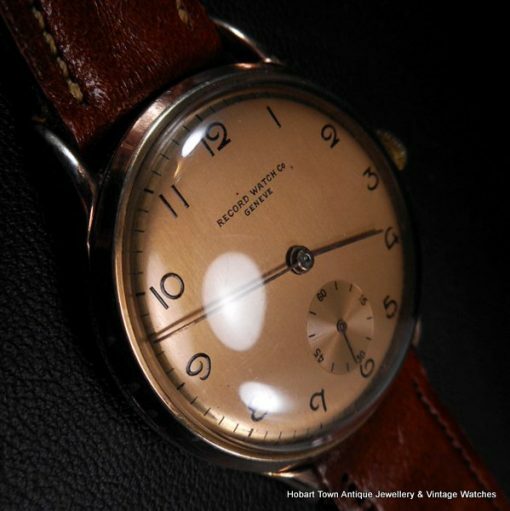 A full 35m beautiful rose gold filled case with stainless steel back. Obvious class with restrained syle , is a term that applies to this Handsome vintage Record 35m mint 1940s watch! 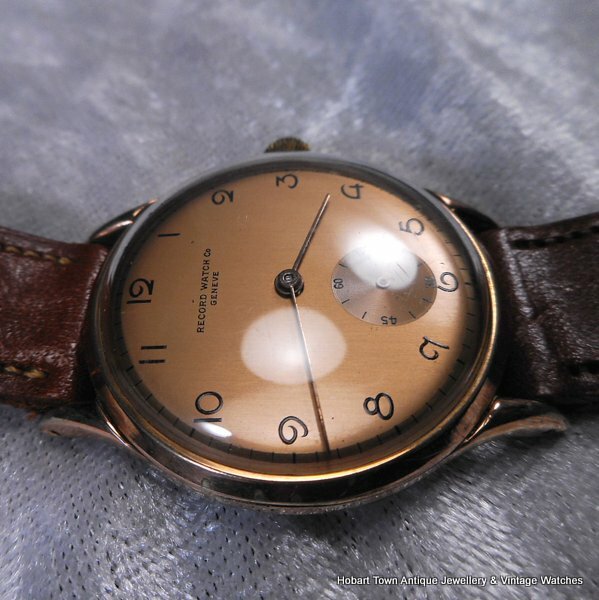 Made c,1947 , prior to Longines buying out the Record Watch Company Geneve and with the popular and sought 1940’s aesthetic. 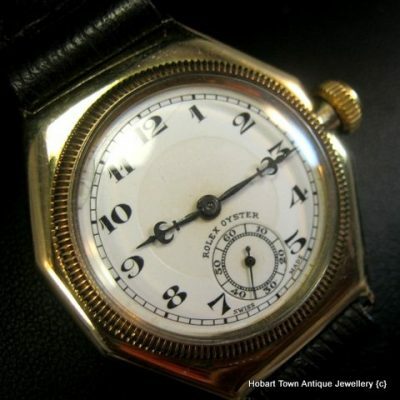 Presents on a wrist as a larger watch than the gauge states , due to the even single colour of the dial and relavtively narrow bezel. 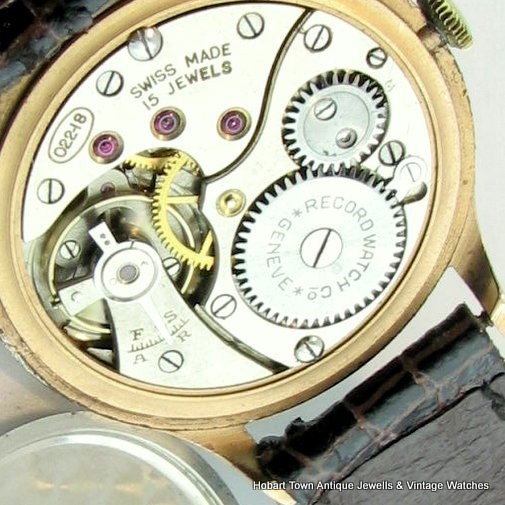 The quality and mint 17 jewel Record movement is running strong and keeping good vintage time. 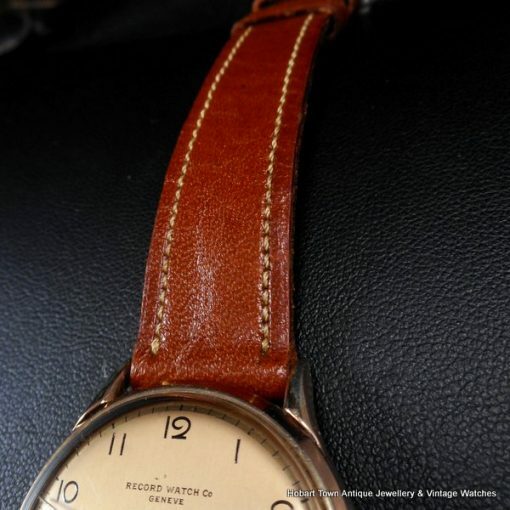 The watch is sold with our complimentary warranty. Fitted with a uality leather strap which suits the watch well. 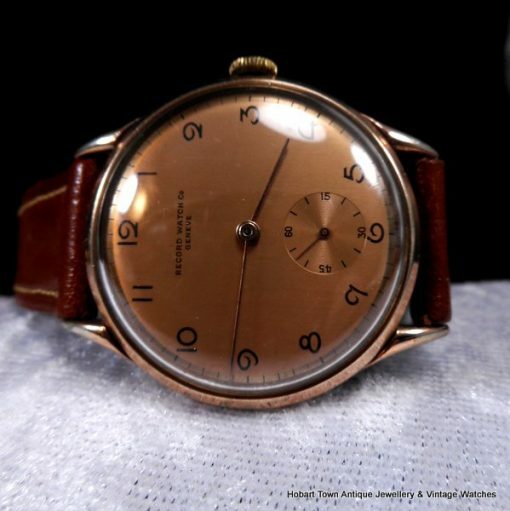 Beautiful and finely hand painted Arabic numerals in black , sun seconds dial and fine stick hands with the RECORD WATCH CO; GENEVE completing the light copper coloured dial. 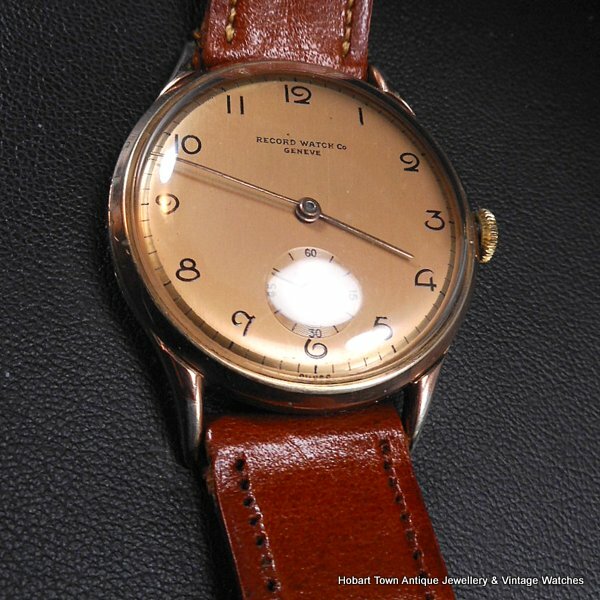 This handsome vintage Record 35m mint 1940s watch really is a stylsih and classy looking true vintage watch in remarkable condition. 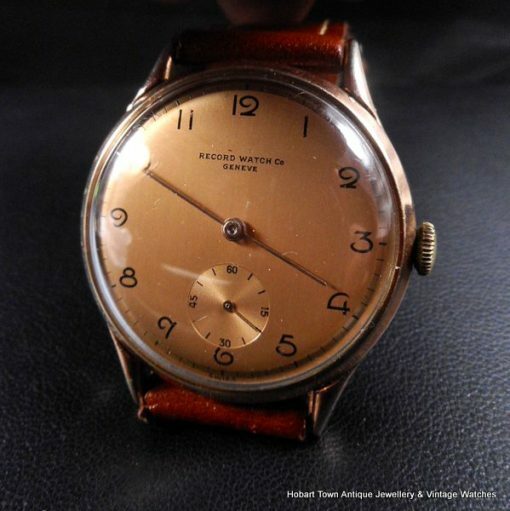 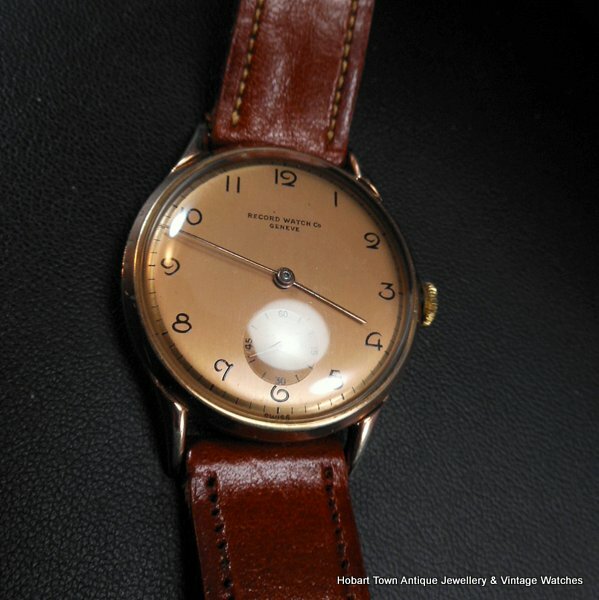 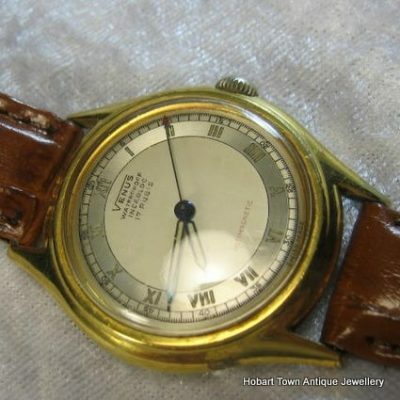 Several Record watches of this period which have complications sell for several thousands of au$’s and these fine , mint and early time only wristwatches are gaining significant momentum among collectors in the past couple of years and I can’t see that changing anytime soon , not with examples such as this one! Signed on the dial , movement and inner case back ………. 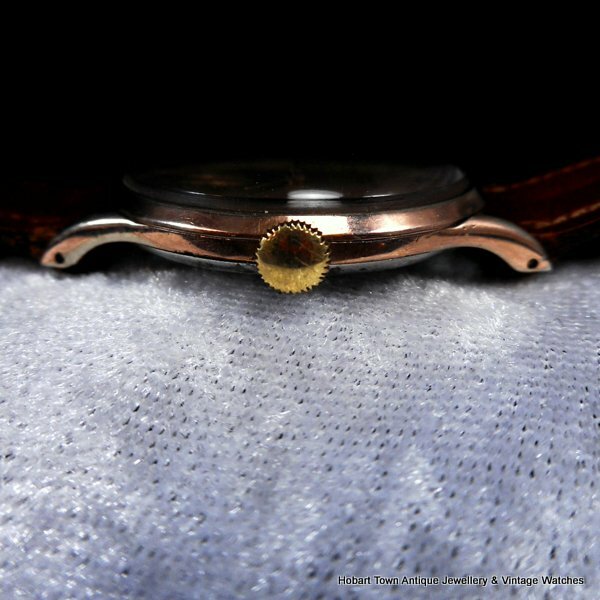 the entire watch remains in 100% original condition. 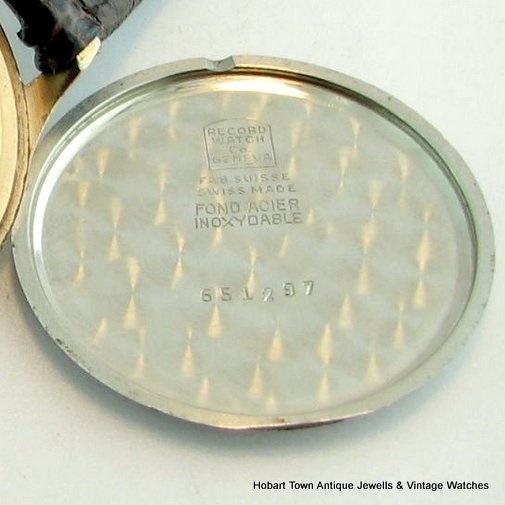 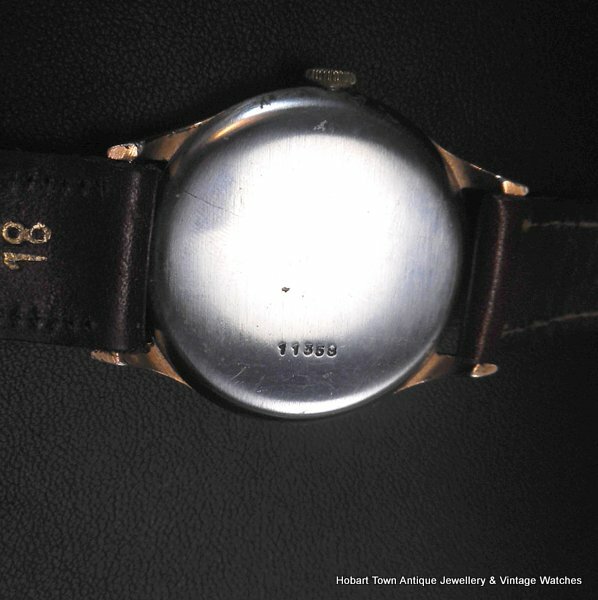 Priced to provide genuine value for the money involved and this watch has several decades of use ahead of it. If you have any questions regarding this handsome vintage Record 35m mint 1940s watch , please email and we will respond promptly.